Baby message to the future Stationary – Perfect for making predictions. Do you need an extra 6-pack of Baby Message To The Future Stationary? This is it! Put more Message To The Future letters into your time capsules for that special day when your child opens it! 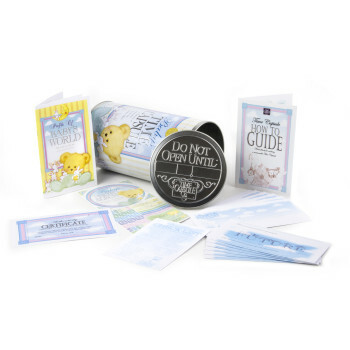 Get this extra pack so your extended family and friends can leave inspiring messages of hope, tell funny stories, or make a special drawing for your baby to view years later when he or she opens the Baby Time Capsule as an adult. What a special day that will be as you all reminisce over the cute artwork and letters, the child and now grown adult receives. I cannot think of a better way to remember what life was like when you were born. Priceless and precious. 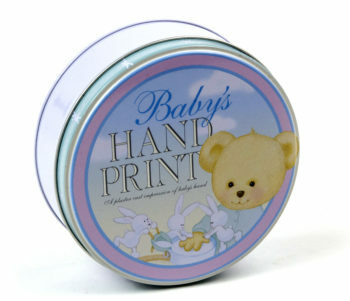 Purchase the Baby’s Time Capsule here, to put your extra Message to the Future letters in. Use the extra message to the futures, to let those around you express their feelings to the future baby or after the baby is born. What are you thinking about before your baby is born? What are you nervous about? Are your friends guessing what gender the baby will be? Have them put their answers in the message to the future letter to the baby. What a great laugh that will be for the child, when the time capsule is opened in the future, and reads that someone guessed wrong or right. Have your friends even share in the letters, of why they thought it would be a boy or girl. 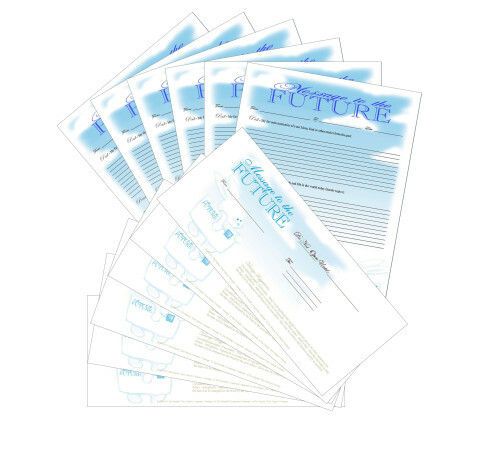 Have your family and friends write about how they think a baby will change you in the future?